This show came about by accident. One day, at a flea market in Brussels, Benoît Faivre and Tommy Laszlo came across a strange document: a family photo album, superbly decorated and in excellent condition. 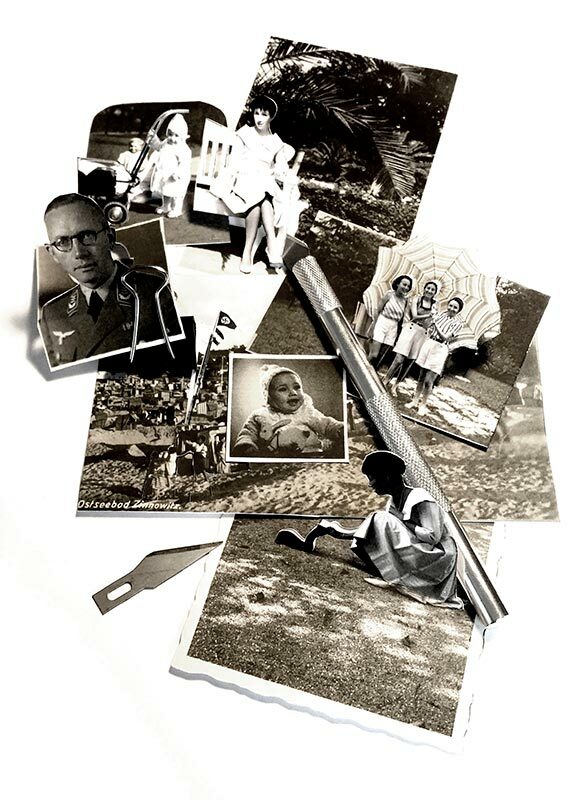 The photos portrayed the memories of a woman born in Germany in 1933, from her childhood to her marriage in Belgium. Who was this person named Christa? Why did our two artists immediately feel intimately linked to the album? How did the fate of this immigrant recall the path of each of their grandmothers? This was the start of a vast investigation. 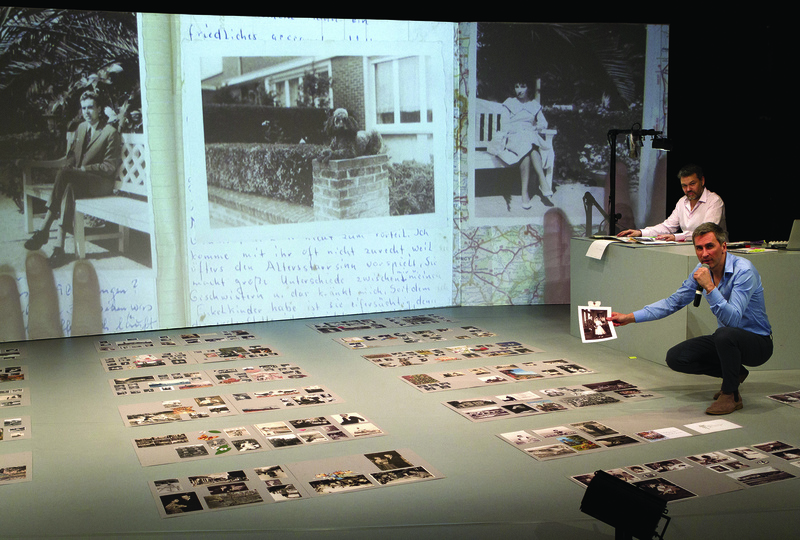 The artists crossed Europe to question Second World War experts, genealogists and their own families. Here they are, before us on stage, to recreate the steps of this long-running investigation. 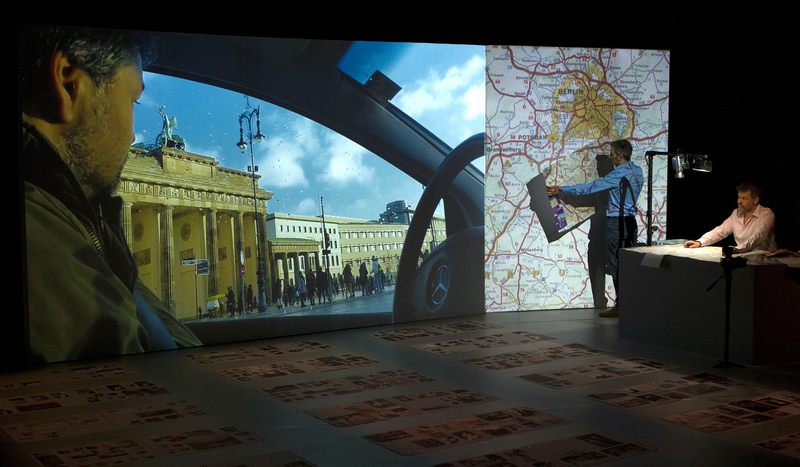 They play the role of themselves and use the images of this album, videos and geographical maps. Close ties and surprising coincidences emerge. Little by little, like a dotted outline, the portrait of an unknown woman and that of a Europe still scarred by the last World War, appears. Vies de Papier [Paper Lives] give visible substance to the inextricable links between personal history and History “with an H for hatchet”, as writer Georges Perec used to say. 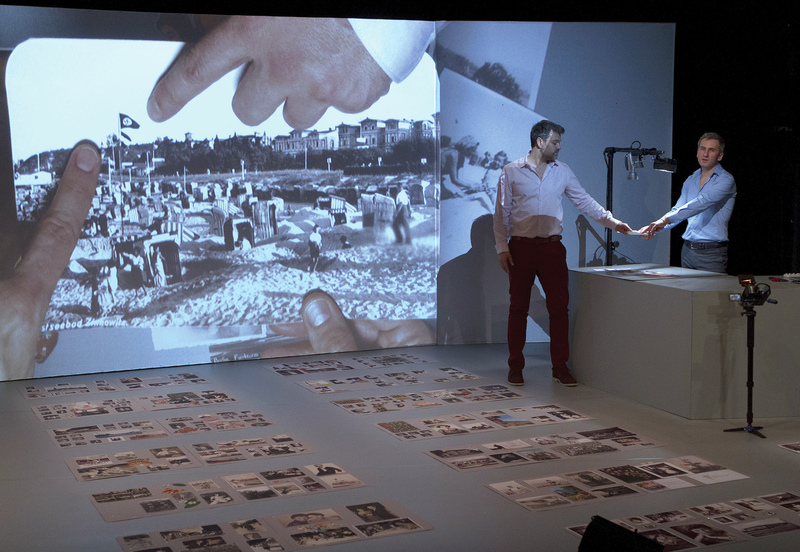 In this performance, Benoît Faivre and Tommy Laszlo question the process which transforms the past into a memory: what do we choose to see, to keep, to accept or to flee? 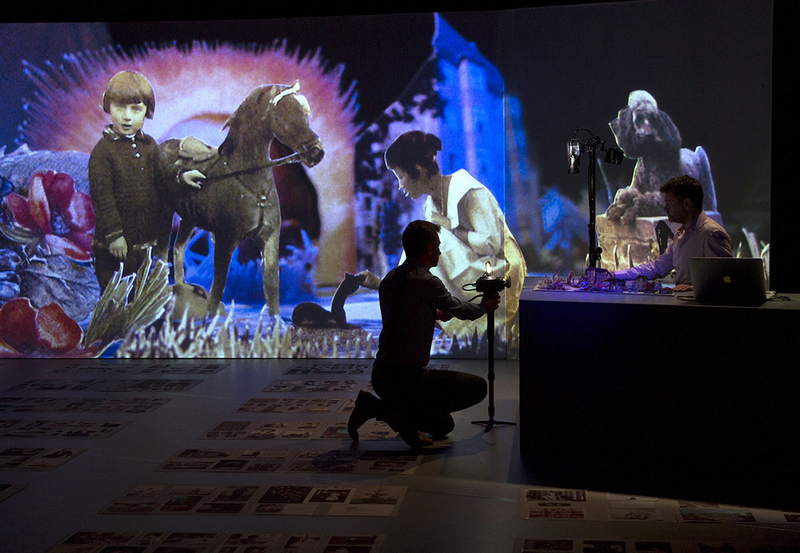 CO-PRODUCTION: Théâtre Gérard-Philippe, publicly-funded theatre of Frouard; MarionNEttes, International Festival of Neuchatel (Switzerland); Centre culturel André-Malraux, Vandoeuvre-les-Nancy; La Méridienne, publicly-funded theatre of Lunéville; Espace Jéliote, publicly-funded puppet theatre of Oloron-Sainte-Marie; Le Carreau, National Theatre of Forbach and Est mosellan; Mil Tamm, cultural project of Pays de Pontivy; T-Werk Potsdam; Le Sablier, Normandy– Ifs/ Dives-sur-Mer, Centre for Puppetry Arts; Moselle Arts Vivants; The City of Brussels / Nuit Blanche; the City of Metz (heritage department, archives and media libraries); Metz Métropole (Musée de la Cour d’Or). The script is the winner of the National Commission for the creation of dramatic texts -ARTCENA / distinction in plural dramaturgy. The company La Bande Passante is supported by the Grand Est Regional Authority for the period 2017-2019. PRE-PUCHASE: Le Mouffetard, Puppet Theatre, Paris; L’Arc, Creusot national theatre; Festival Perspectives). 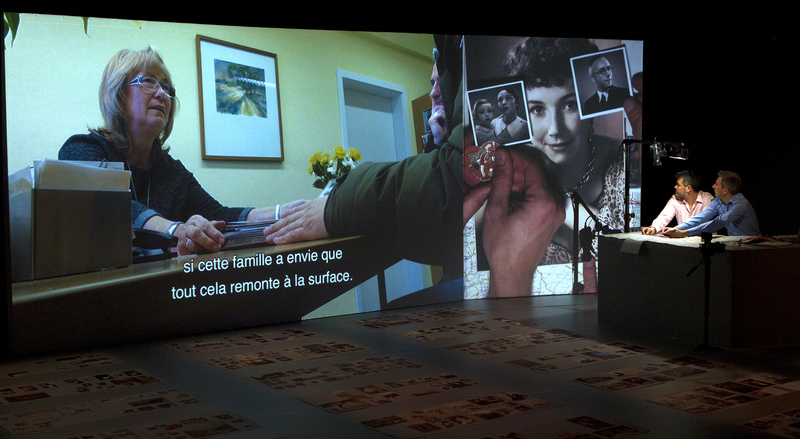 "Build a show around a family album found in a flea market: this is the crazy task which Benoît Faivre and Tommy Laszlo set out to do and achieved brilliantly (...). 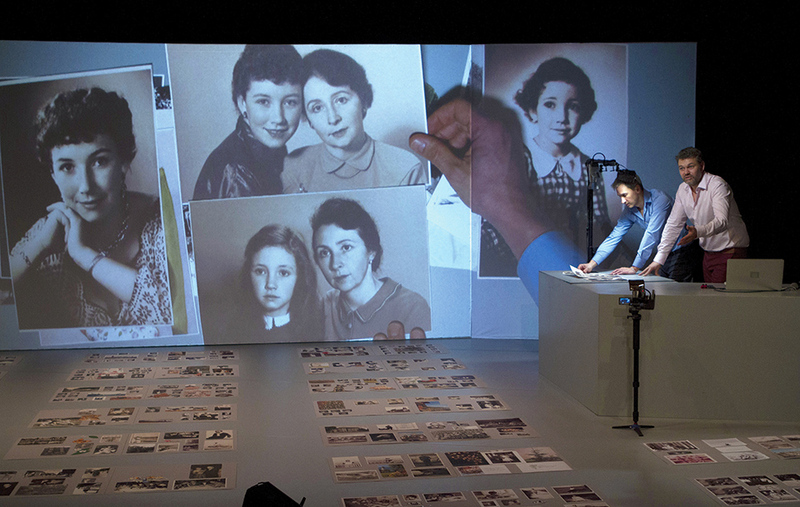 Thanks to clever staging, the show blends photos of the life of their heroine with the film of their investigation (...) and a two-voice story on stage, where our own family history finds an unexpected echo. Overwhelming!" "Tender and moving, accomplished and remarkably intelligent, this gem is a must-see." 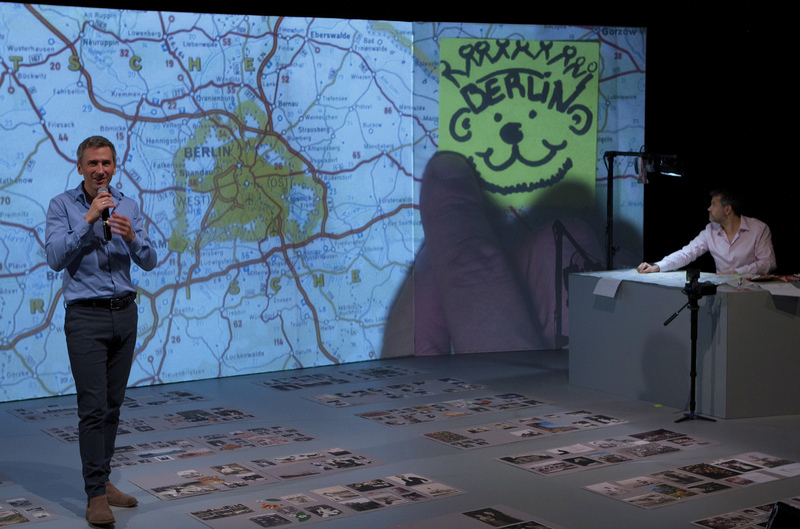 "The staging is highly clever and played with talent and extreme accuracy by two impressive artists (...). This unique performance is definitely not to be missed." "The intelligence of a show which speaks to us of the love of objects and archives, which transmits to us the pleasure of research, which also talks about us, our family histories and the mystery of people’s universal path. This is a play which touches, breaks up, comes together and builds itself in our head. It’s fascinating." 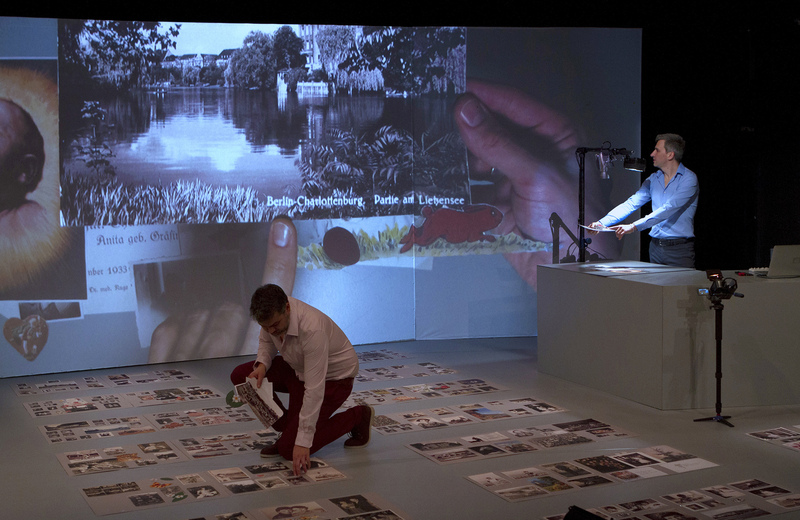 "This intimate journey is served by an inventive and stimulating scenography. (...) Original and touching, the show makes you want to know more about your own history, and to speak with those who witnessed it, before it’s too late."